Ultra slim tanks for narrow, out of the way spaces. Tall and very slim tanks for narrow vertical spaces such as under roof overhangs, passageways, garages, utility rooms and where floor space is restricted. Tanks will fit through a standard doorway. 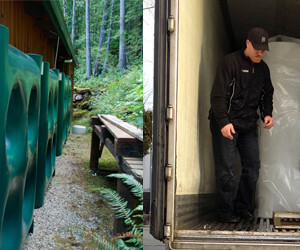 Tank volume equivalent to 6 – 8 rain barrels with up to 50% in space saving. Each tank is fitted with a 12″ dia. 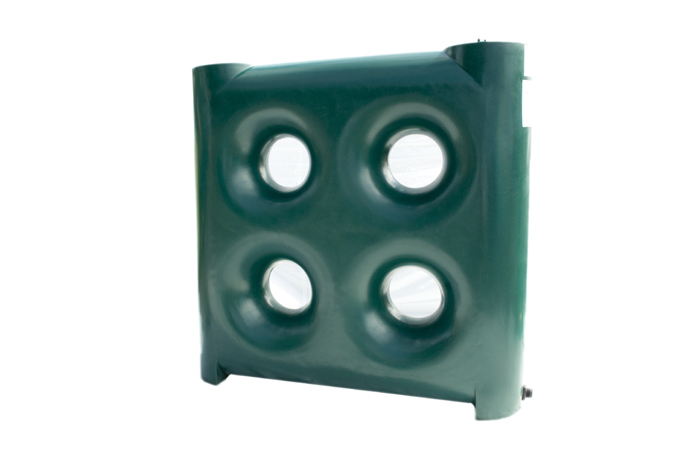 vented access/fill lid and 1″ dia. outlet fitting at the bottom. Lid will accommodate a 12″ dia. filter basket. Tanks are self-supporting but must be restrained to a wall for safety. Note: See also Raindrop Tanks.